In September, 2017, the Intl. WeLoveU Foundation replaced contaminated or broken water tanks at the Basic Education High School No. 1 located in Yangon, Myanmar. Basic Education High School No. 1 is a national secondary education institution with 2,667 students from 5th to 10th grades. The students and teaching staff of the school have been going through great inconveniences for several years due to water leaks and contamination of the water tanks. Myanmar has a system that draws water from underground, stores it in water tanks, and then let it flow out. However, some of the water tanks installed on the school rooftop couldn’t be used because they were either rusted or had holes. Some water tanks became “habitats for birds” as birds flew inside through the broken gaps. 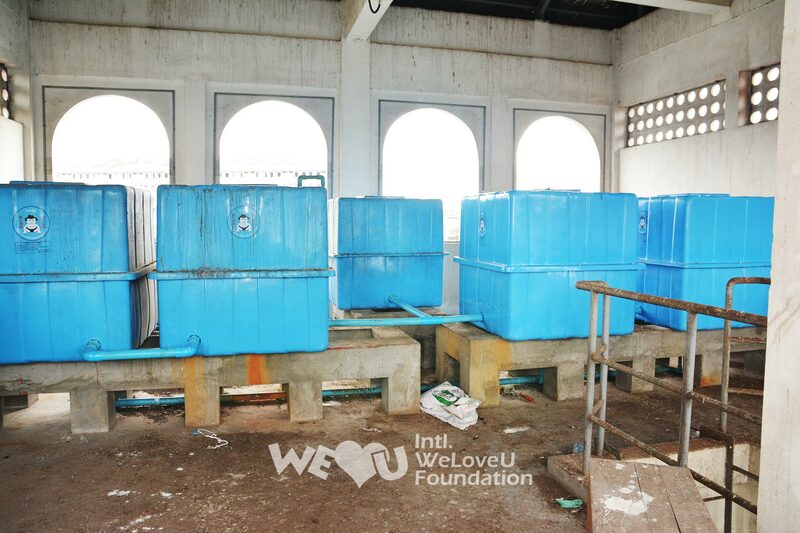 The WeLoveU stretched a helping hand to the school for their water tanks that had been left unattended for years due to the school’s poor financial situation. 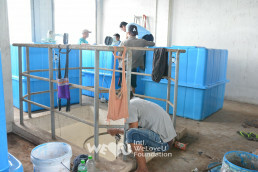 When the WeLoveU visited the school and expressed its will to support the school in regard to the matter of the water tank contamination and leakage, the school’s staff welcomed it, saying that it was the most urgent matter they had. The construction was done quickly from September 25 to 28. Six large water tanks with capacity of 1,800 liters for each tank were newly installed. They are made of reinforced plastics which are non corrosive, and sealed with lids, which is a perfect complement to the disadvantages of existing water tanks. 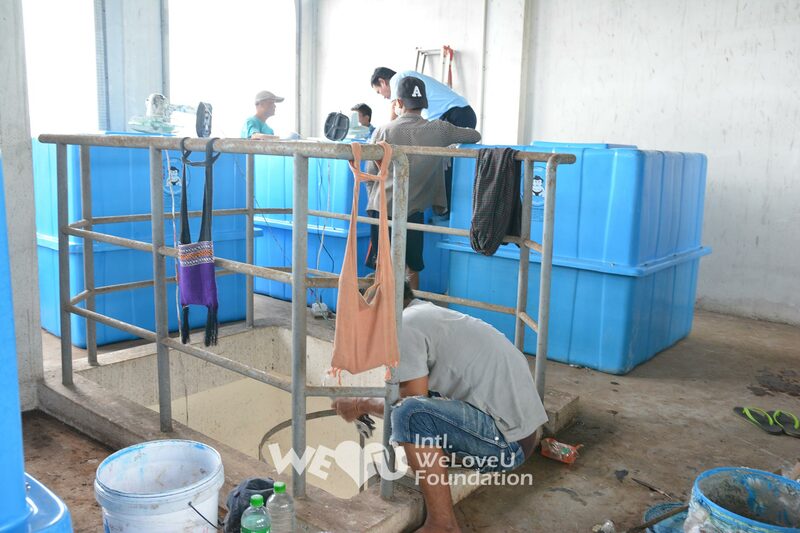 For four days, the WeLoveU members cleaned the water tanks, and replaced the broken barbed wire fence with a new one to prevent birds from flying in. On September 28, a water tank donation ceremony was held at the school gymnasium with 30 school faculty members attending. 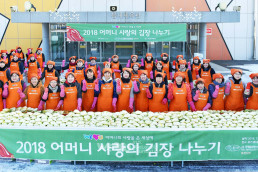 At the ceremony, the school expressed gratitude to the members who worked with smiles on their faces the whole time, not wanting anything in return. A school official said, “I was greatly impressed to see more than ten members cleaning the water storage tanks from morning until evening. Thank you for being a good example to students.” The students who saw the members’ volunteer service for the first time found it interesting, and felt thankful at the same time. On October 13, the WeLoveU donated umbrellas to 2,667 students of Basic Education High School No. 1. These gifts were prepared with the heart of a mother who makes sure her child to have an umbrella so that the child doesn’t get wet in the rain. Myanmar has a rainy season from May to October. 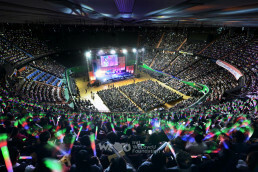 However, most students of Basic Education High School No. 1 didn’t have an umbrella because of their family circumstances. The students had big smiles, receiving the umbrellas. 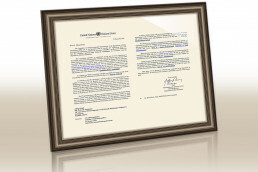 School officials said, “We’re very thankful that we have an organization like the Intl. 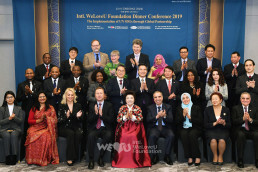 WeLoveU Foundation in our community.” The citizens of Myanmar are showing interest in the activities of the WeLoveU, which are carried out with a mother’s love.